FREE Registration for both of you. You can create an account in joint names or as individuals. FREE Upgrade to full business partner (which simply means you can start building your own team immediately and without purchasing a kit). You could join your friend into your own team and share double the points! WORK TOGETHER TOWARDS INCENTIVES If you reach an award based on your monthly points why not share the prize. FM World UK incentives include perfume discounts, product vouchers, car, holiday, cash bonuses and our own individual team incentives include Spa days, products and high street vouchers and much more! PARTY TOGETHER you can book parties and attend them together giving your party guests an even better experience by having two people to give advice and attention. This can also work for online parties, sharing the workload to help balance your normal daily life works great! HOLIDAY TOGETHER you have the opportunity to visit Poland on our annual trip where we all book our places on the GNF conference and get-together with other business partners from all over the world. We also get to visit the FM World perfume factory and unique polish shop with even bigger discounts! You also have the opportunity to work towards the prestigious annual incentive trip to some amazing places around the world, our current incentive it to attend the Maldives and then in 2019 it is Singapore – why not work towards this and go together! CONFERENCE TOGETHER why not take a UK trip together and spend the weekend collecting awards, prizes and dancing the night away at a top UK conference venue. This is the perfect time to relax, unwind and celebrate your hard work with other FM UK members. Last year’s annual event was in London, this year we attend Telford. SHARE POSTAGE we all have to pay postage costs, so why not half them! With FM, however, we can also qualify for free postage – again sharing the order can help you hit the level for free postage! SHARE THE JOURNEY there is no easier way to learn than doing it with a friend, learn together and growing skills together. If one person cannot attend a team training, then maybe the other can and can share the knowledge and work together at making the business a huge success, together. 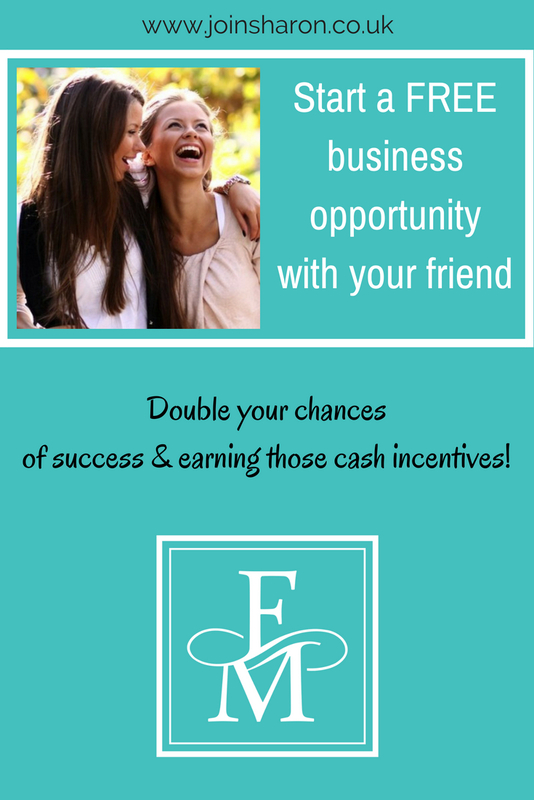 These are just a few of the benefits of joining FM with a friend, I’m sure I could still add more but I think you will agree that you don’t have to start this business alone, starting with a friend can be a huge blessing and even more fun! ARE YOU ALREADY A MEMBER OF FM WORLD AND JOINED WITH A FRIEND?